It seems that every week a new local wedding photographer pops up online. I am constantly asked if I shoot weddings, and the answer is no every time. Why? Simply because I am not a wedding photographer. Many people assume that if you’re a professional photographer then surely you must shoot weddings. Wedding photography is a rough business, one that with enough hard work, determination and a good dose of talent can be rewarding. In this post I list my all time favorite local Rio Grande Valley photographers and why I love them so. Remember when I said that every photographer is like a snowflake and no two are alike, the same goes for wedding photographers. Each has their own style, so while you’re sifting through the dozens of photographers that are here locally think long and hard about the style you want for your wedding. After all, these photos are suppose to last you a lifetime. You only get married once so it safe to assume that one of your first priorities behind the dress, church and venue should be your photographer. In this post I am going to group my favorite photographers by what style, experience or presence they have in the local industry. Disclaimer: Some of the photographers I do know personally, some I don’t. I have very close photographer friends that are not on this list. I want this to be fair, so I picked these photographers because I love their work, even if I don’t know them personally. None of the photographers listed below are listed by preference, so please don’t assume that just because they’re written in a certain order that it means I like one more than the others. Couldn’t be farther from the truth. In the Rio Grande Valley we have what I like to call the two kings. Both reigning in the local valley scene so much so that both had to spread their wings and become destination wedding photographers. 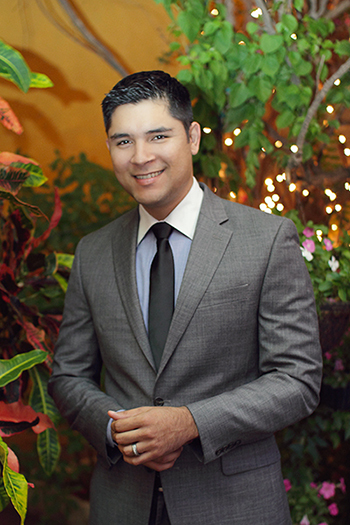 Let’s start with the photographer that I pulled my featured image from, Frank Martinez III of Noah Diego’s Photo Studio. Frank Martinez III is a funny guy, that’s the best way to describe him. I enjoy his company whenever we do meet up for the occasional drinks and to catch up on time. Most of his clients love him too. I will say that I have yet to see a RGV photographer with as loyal of fans as Frank’s. The company was named after his son, Noah Diego, who apparently is now taking up photography, as well. The apple doesn’t fall far from the tree as they say. What I love the most about Frank’s style is the execution in his lighting and posing. He is what we call in the industry, a commercial wedding photographer. The posing and light quality with these types of photos are just stunning to say the least. If you’re looking for a commercial look to your bridal sessions, and engagement sessions that scream fashion and want to impress, Frank is your go-to guy. 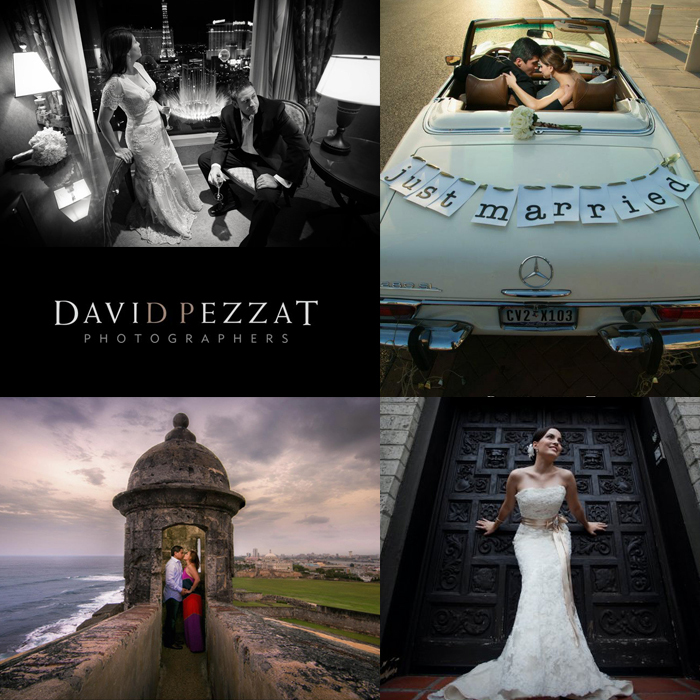 If you’re looking for an experienced photographer, David is perfect. I think David’s strongest skill is taking candids. He takes candids of the wedding party and guests and make it seem as though the shot was planned from the beginning. As if it was a photoshoot instead of an event. Yeah, he’s just that good. 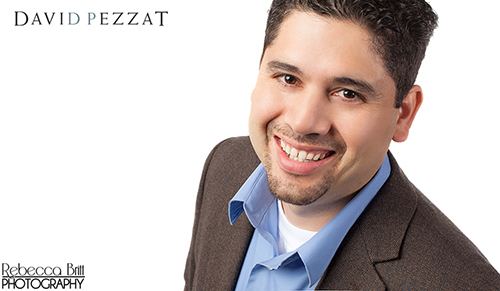 His images are always tact-sharp and consistent, which is an important attribute to have when booking a photographer. Don’t confuse juvenescence with inexperience, these two photographers may be young, but that doesn’t make them any less talented! 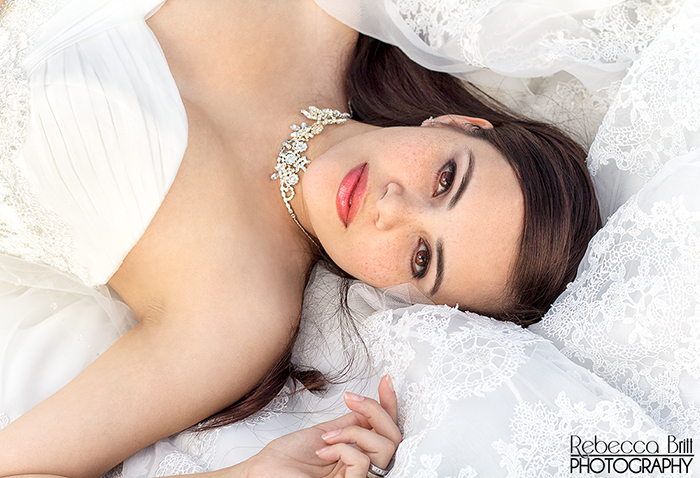 Here’s a fresh new look at where wedding photography is heading in the Rio Grande Valley. I briefly met Miguel once at a local photographer’s meeting. My first impression of Miguel was just how professional his demeanor was and how he held himself. The man is distinguished for only being a spry 30 years old. A family man and strong in his faith he would be perfect for those couples who want someone who will not just treat you like a another job. He works with an air of respect, and I believe respect is a two way street, meaning the only way to gain respect is to give it out in large doses, as well. As far as his work goes what I love about it is the fashion element to its style. It’s very reminiscent of the editorial style of photos in fashion magazines. 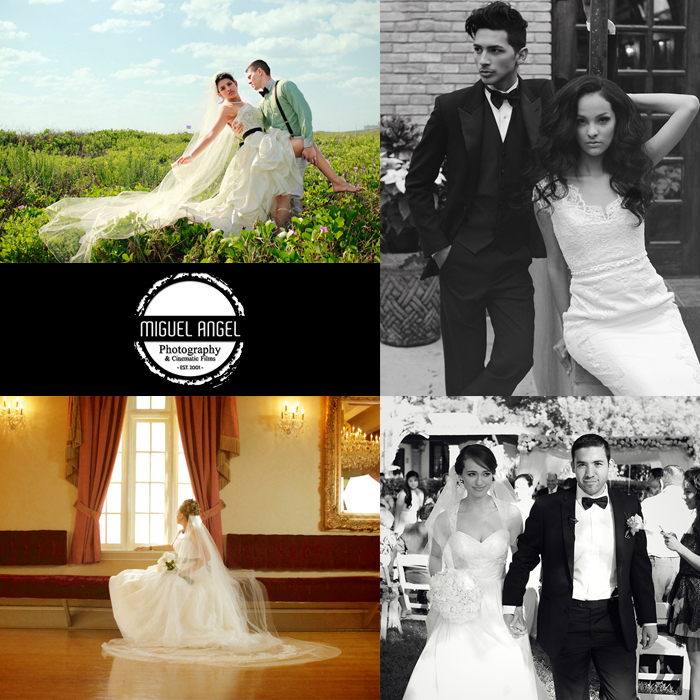 If you’re a bride that likes to flip through the pages of Vanity Fair, Elle or Bride’s Magazine then Miguel will probably be a very good fit for you. The next two wedding photography companies I’m featuring are a little different based just on their style. I consider their work very contemporary which is very popular at the moment. With the age of Instagram, Facebook filters and iPhone photo apps, these two take trendy and have transformed it into a celebrated style in wedding photography. 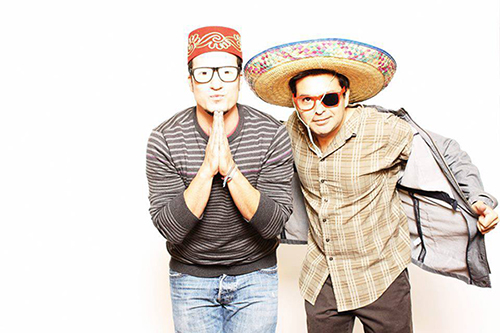 The Wy Studio is the brainchild of friends, Dany Ruiperez and Edgar Navarro. I don’t know much about this duo other than the fact that their style of photography is extremely modern. I believe that their strongest attribute is their work after the ceremony. The post-processing of the images are impressive to say the least. I like how they soften up their photos with their post processing. What’s interesting about this dynamic group is that they occasionally have the talented Magaly Gisel, a local portrait photographer shoot with them, as well. 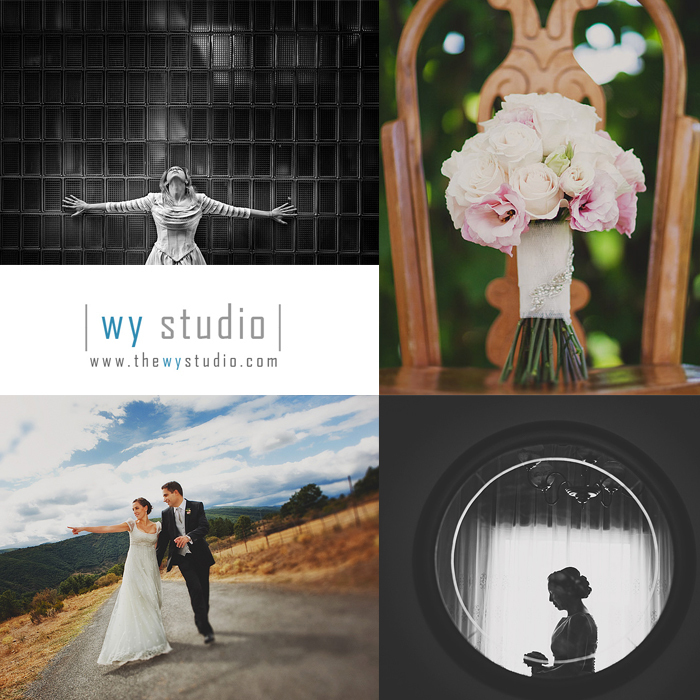 If you’re looking for a photographer who is good with details and capturing them in the best light, then the Wy Studio would probably best suit your needs. Also, something to note I believe that Wy Studios also has the best photo booth in the Valley for your wedding needs called Locobooth. The lighting in their photo booth is in my opinion correctly lit for studio shots compared to other booths in the Valley. 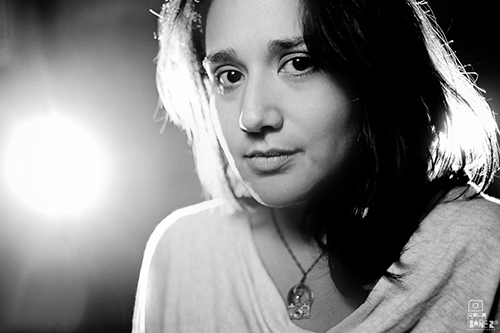 I have yet to meet Anahi in person, so I can’t really write about her in a personal way, but what I can tell you is that her work is pretty amazing. Soft and feminine is the best way that I can describe it. 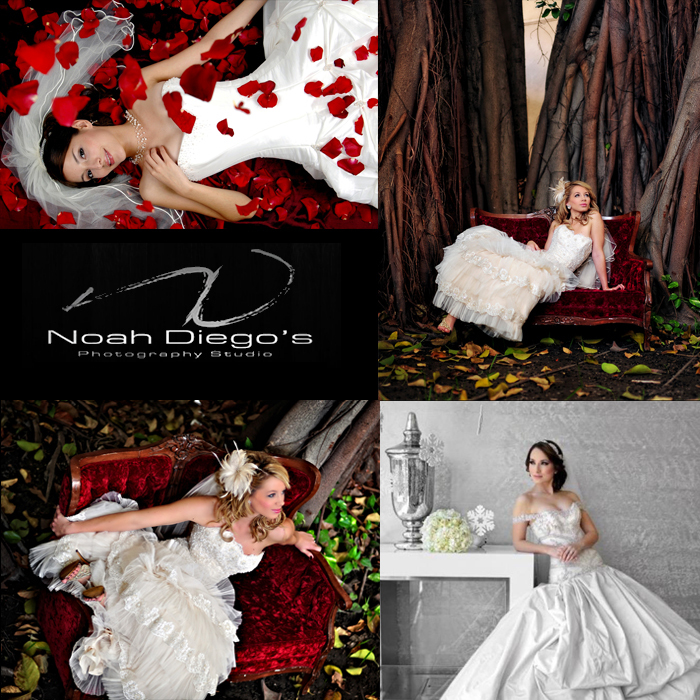 If you’re wanting to feel like fairy-tale princess on your big day, then you might want to give Anahi a call. What I do find interesting is that Anahi is the wife of Edgar Navarro. Yep, the co-owner of none other than Wy Studios. So, to say you keep the business in the family is an understatement. This is a telling thing though. If both you and your spouse both run separate photography businesses that only shows just how passionate you are about the art of photography, so much so that the entire family is involved… and that is never a bad thing. Don’t be confused though, Anahi’s style of photography is very different than her husband’s. While both are contemporary Anahi’s work has a classic film and glamour of the good old days feel. She’s brought those styles and modernized them. Well there you have it. 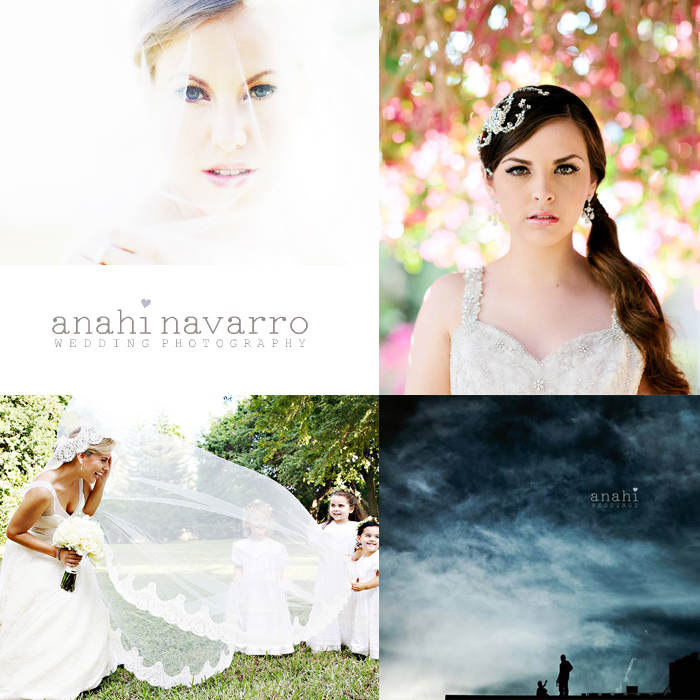 My favorite six wedding photographers in the Rio Grande Valley. There are a few others that I would have liked to feature, but either didn’t respond in time (I always wait for permission to post other’s images) or I couldn’t get a hold of. If you’re looking to book a wedding photographer in the near future please consider the ones listed above. I like to think that I have a high expectation when it comes to photography, so I wouldn’t recommend someone if I didn’t feel like their work was amazing. I’d also like to point out that there are a few other photographers that I wanted to put on here and couldn’t (for time reasons again). Below I’ve listed their information. I love your article but I would have to not agree with all your choices. The photographer I got for my wedding was better than the up and comers you have on this article. I should know because I shopped around and met with those up and comers and I wasn’t too impressed. I think that if your going to do an article maybe just maybe you should view ALL photographers the legit ones with studios and who have been in the photo business for quite sometime. Maybe step out of the box of the photographers that you know and are well known and visit other photographers such as Chekotapia, Jay Caballero, Eric Sierra, Ranson photography, Jenny maples, Jessie Garcia photography, Juan Morales with Prince Studios, Chuck Navarro, Freddy Rodriguez, etc etc etc. Did you view these photographers? Because if your going to have the best of the best why didn’t you have the guy who is speaking at other PPA meetings out of the valley up there? Because for sure he is better than Noah Diego in my opinion especially when he has 20 plus years in the business. Hmmm ….. don’t know I think this article just might be for your friends or to impress the people you already know. So again love the article but might be a little biased in my opinion but then again it is YOUR favorite photographers. Have a nice day! P.S. I really do hope you can take some criticism because that is all that this is. I understand your viewpoint, but I thought I made it plainly clear that these were my favorite photographers here, not necessarily the oldest (most experienced) or the most expensive or the best at speaking at conferences or workshops. This blog post was an expression of what I felt were my favorites, not who other people like. That’s why it’s a personal blog post. I also don’t believe you need to own a studio to be a successful wedding photographer. In a way I feel that to be specialized in your niche and not trying to shoot every specialization (studio, babies, family, commercial ect…) of photography actually makes you a stronger photographer. In layman’s terms, if you try and shoot everything and not specialize in one or two things it actually makes you less experienced no matter how long you have been shooting. Some of the photographers you mentioned I was actually considering to place in other blog posts like my favorite family/baby photographers or my favorite quinceañera photographers ect… So, I might have a reason they were not added, but the main reason they were’t added in the article was simply because they weren’t my favorite. In fact, I have never met Anahi or anyone from the Wy studio and only have briefly met Ben and Miguel. So, to say I added only my friends is a bit absurd. I guess the best way to respond to this is that this is my personal blog, not the wedding photography section of the yellow pages. Thank you for reading my blog though. 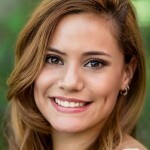 Rebecca – If you do a story on Quinceanera photographers, I would recommend that you take a look at the work of Alexander Austin of Austin Studio. He has a website: AustinPhotoStudio.net. Most of his work is chroma key, or green screen. Some pretty amazing stuff. I myself have been a photographer for 39 years here in the Valley. I used to photograph a lot of weddings and quinceaneras, but now I specialize in photographing pre-schoolers. I love taking portraits of kids. But anyway, check out Alexander Austin. You’ll see what I mean. Thanks. I don’t understand the feelings that get hurt with a lot of photographers all the time. When I came on the scene it was a baptism by fire. The local photogs were both welcoming and out for blood. I understand the whole “This is my turf” thing, but I tell my friends and peers all the time,”You can’t shoot every event in the valley”! There is a ton of business out there if you are willing and able to get it. Just like you said, “…this is my personal blog, not the wedding photography section of the yellow pages”. On that same note why would people be upset about not being included in a list that realistically, no offense Rebecca, most photography clients won’t ever see. It’s a personal list made from your opinion. That’s cool. I’m not in it and I don’t care. I liked the article anyway. On that same note, you won’t be able to please everyone. That’s true no matter what. Just keep doing what you love doing. I’ve made a decent living making that my mantra. I don’t see why nobody wouldn’t be able to. Personally, I found your blog entry VERY helpful! I’m planning my wedding from California and I appreciated the overview of the wedding photography landscape in the RGV since I haven’t lived in the RGV for over ten years and I needed a starting point. I do not recommend RGV Memories Photography, they have done such a bad job. He is very unprofessional. I got married in October and my wedding video and photo print outs are not ready. He said the would be ready toady at 12pm no later and no earlier. I live 5 hrs away so I made arrangements to be in the valley and pick up my prints and video but as I suspected he said he was out of town and the pictures will not be ready until Thursday. give you a shout out from Houston Tx! Just wanted to mention keep up the excellent job! This is a great blog however, there are many other photographers missing that are also somewhat in the business. I’ve had one of them from this blog take my photos and I wasn’t impressed as they present themselves to be. Others are very difficult to contact. I don’t think posting up wedding photographers just like that is a good idea. Especially after having a bad experience with one. I understand there may be some missing according to you. As I said in the post I did contact quite a few others and they never reached back to me, that or I have them in mind for a different type of post. I’m resurrecting this series in the next week or so to feature other great RGV photographers. The people listed on this post are from my personal list of favorite wedding photographers that actually responded to my request to be featured. I would never feature someone’s work without their express written permission. Working in the blogging industry as long as I have you have to force yourself to have good blogging habits and etiquette. I’m sorry that you had a bad experience with one of the photographers listed. I will say that no one is perfect and there will always be times when a client isn’t completely satisfied, that’s just the nature of the business. Hi Rebecca, many photographers are very talented in this post; best wishes in their success and yours. You’re always welcome to visit my site too at Freddy-Rodriguez.com as I now started offering underwater for many diverse project sessions soon to come.